Marimn Health Wellness Center offers a wide range of youth sports throughout the year. Activities include youth tackle football, cheerleading, basketball, 3 on 3 basketball, soccer, baseball, USGA Jr. golf, swimming, dance, archery, and wrestling. Contact us to learn more or to register your child! Paper registration forms are available at the Wellness Center Front Desk and can be requested via email to Josh Izaguirre, Youth Sports Cordinator at jizaguirre@marimnhealth.org , 208-686-9355 ext. 2511 (office), or to Kasey Zurcher, Wellness Center Specialist – Youth Sports at kzurcher@marimnhealth.org. Click the following link to view and register your child for Youth Sports programs, Tournaments, and special events online (credit/debit card required). Is your child’s info in our Active Net system? (If your child has been enrolled in a sport here after Feb. 2017, chances are their info is in our system, which makes registration quick for staff to make happen!). If so, getting your child registered can be as easy as sending an email to Josh or Kasey, a few program specific questions, verify contact information or update some information and boom! Your child is registered for their next sport. Signed paper medical consent and participation waivers will need to submitted by the first day of practice. Want to pay over the phone? We can do that too! Found out late about registration and can’t pay until payday? No sweat! We can enroll your child(ren) and put the payment due date down for the day you are able to pay or break it up into payments. Rockin’ the Rez is a four-week program is conducted Monday through Thursday from 8:00 a.m. –4:30 p.m. It is a summer program that’s designed for youth ages 5 –12 years. Rockin’ the Rez provides activities such as traditional singing, dancing, drumming, arts and crafts, hip-hop dancing, rock climbing, fishing, sports, swimming, traditional camp, filming music video, and field trips. Each year, Rockin’ the Rez culminates with a community celebration and showcase for the community, parents, relatives, friends, and community members.  Marimn Health Wellness Center Youth Programs runs Rockin’ the Rez each year, hiring Youth Leaders, Assistant Youth Leaders, and Youth Coordinators who plan the programming and provide supervision and oversight for this program. Interested? Call Youth Programs at 208.686.9355 for more information. March 29, 2019 before the first game! The Tribal Youth Council is made up of thirty students who range in age from 12-19. It is recognized by the Coeur d’Alene Tribal Council as a formal entity within the Coeur d’Alene Tribe. The Council is also recognized as a UNITY Tribal Youth council. Their activities include fundraising, community projects, leadership camps, UNITY conference and the Northwest Indian Youth conference. The Council’s community projects have included cutting and stacking wood for elders, serving dinner at community events, cleaning and planting flowers at the neighborhood parks, and helping at the Affiliated Tribes of the Northwest Indian conferences. Their fundraising projects have included 50/50 drawings, bake sales, and the largest fundraising project was a Youth Basketball Tournament. The Tribal Youth Council also hosted dances for the youth in the community; over the last three years 924 youth attended the eleven-hosted dances. Interested? The Council meets the 2nd and 4th Wednesdays of each month. Follow our social media pages for updates! We offer kids a safe place to learn and grow, all while having fun! Great futures begin here every day. Our mission is to enable all young people, especially those who need us most, to reach their full potential as productive, caring, and responsible citizens. Today’s youth face enormous challenges that threaten their bright futures – including poverty, obesity, and the high school dropout crisis. Kids and teens are our country’s most precious resource, and we can’t afford to let any fall through the cracks. Through our youth development programs and services, we work to change the lives of local kids and teens. We want to instill in them a sense of competence, usefulness, belonging, and influence. An alternative place for kids and teens to spend time during non-school hours so they’re not on the streets or at home alone. Ongoing school-year memberships for 2018-2019 cost $25. Memberships must be renewed each school year. We can only take kids and teens ages 6-18. School-year registrations will remain open indefinitely. Feel free to stop by to meet staff and take a tour.